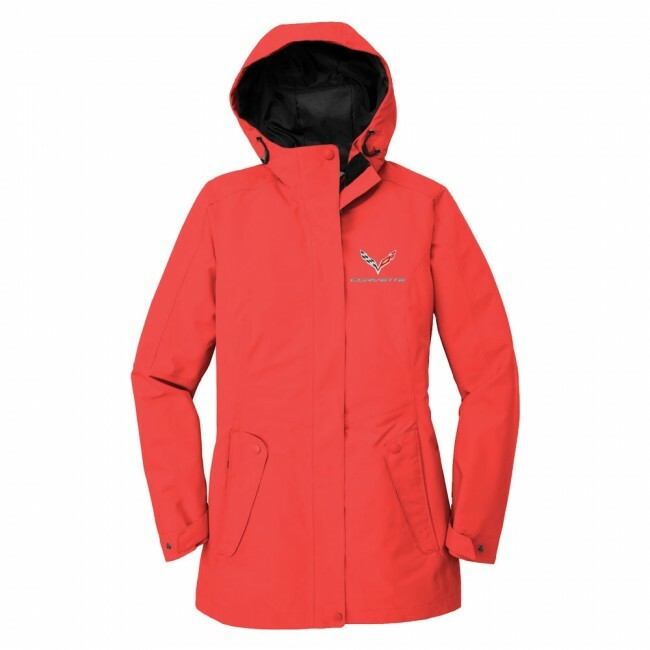 Endure the weather elements in this fashionable jacket. Both waterproof and wind-resistant. Slightly longer length for a more sophisticated look. Adjustable hood with locking drawcord. Interior chest pocket and zippered hand pockets to keep loose items secure. Full-length interior and exterior storm flap, exterior has snap closure. Adjustable snap cuffs. Can be bought and worn together with the Collective Smooth Fleece Jacket for a warmer option. 100% polyester. Imported.